One of the truly haunting images about the Orlando shooting was of the police officers who entered Pulse nightclub and were met with the lights and sounds of cellphones ringing with no one to answer and tell the loved one on the other end everything was OK. It is an image that should remind us all that in times of tragedy, we are all human and we are all in this together. The shooter’s Asian American and Islamic backgrounds and the fact that many victims were gay Latino men highlight the continued need to talk about intersectionality at the national level. Especially at time when identity and politics are much more nuanced, we have an obligation to break down the walls that continue to divide us. We need to stop operating in silos and discuss what it means to be marginalized at the intersections of who we are. 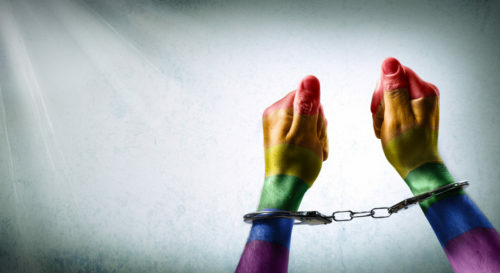 This is especially important as mass criminalization disproportionately affects both people of color – including those who are Asian American and Pacific Islander (AAPI) – as well as people who identify as lesbian, gay, bisexual, transgender, and queer. As the Asian Pacific American Labor Alliance (APALA)’s first openly gay executive director and the executive director of the labor LGBTQ constituency group, Pride at Work, we admit that we were deeply affected by the Orlando shooting – so much that we didn’t want to attend the Capital Pride Festival here in Washington, DC. However, the support of our friends and family reminded us how much more important it was to proudly work, live, and love at the intersections of who we are every single day. Tragedies like Orlando and San Bernardino can easily lead to policy discussions that standardize profiling and the surveillance of certain communities of color – communities that already feel the effects of mass criminalization. We must not allow that to happen. The number of AAPIs in the criminal justice system increased by 250% in the 1990s and represent a population often overlooked. Along with the rise of mass incarceration of AAPIs came the rise of immigration detention and deportation of our community. Southeast Asian Americans, in particular, are three to four times more likely for old convictions, compared to other immigrant communities. Formerly incarcerated AAPIs also face barriers to reentry, including discrimination in hiring processes, obstacles to regaining voting rights, and difficulties in accessing adequate healthcare. And as Immigrant Heritage Month comes to end, we remember immigrant youth and their families, who are living through the school-to-prison-to-deportation pipeline, especially in light of the recent Supreme Court’s decision on the DACA+ and DAPA programs. Similar to the AAPI community, the LGBTQ community, are also disproportionately impacted by mass criminalization. Gender nonconforming students are targeted for harassment and discipline, which can shuttle them into the school-to-prison pipeline. Transgender women of color are often forced into the margins of society, where abuse and contact with authorities is common. And people living with HIV/AIDS are subject to draconian laws that make the act of having a relationship with someone a potentially criminal act.